It's no secret that Samsung makes stunning phones, and with the Galaxy Note 9, the company put all of its design prowess on full display. However, as much fun as it is to look at and hold the Note 9, it's even more exciting to take a closer look at just what goes into crafting a device of its caliber. 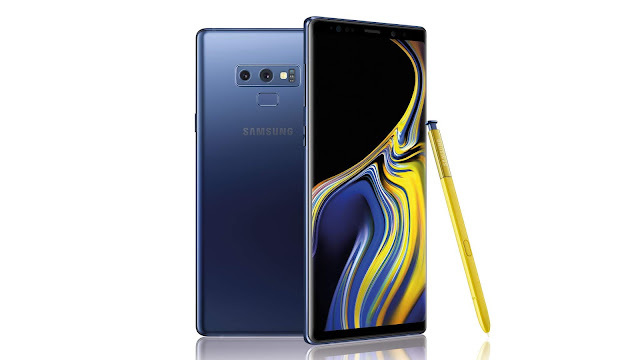 Samsung's Infinity Display is once again being used on the Note 9, and measuring in at 6.4-inches, is the biggest the company's created to-date. Samsung also says that the Note 9's screen is an ever deeper black compared to past handsets, which "allows it to blend in with the bezels when the device is off and enhances the overall aesthetic." A process called Die-cutting was used to craft the Note 9's frame, and as a result of this laborious process, the frame of the Note 9 " features an interplay of glossy and matte finishes that complements the Galaxy Note9's premium design cues." To read more about the Note 9's design and the time/attention that went into its S Pen, check out Samsung's full deep dive below.